It’s been almost a year since you started your journey, searching for your lost father. 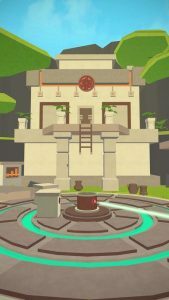 After solving a multitude of mind-boggling puzzles, the last portal you went through took you to an entirely new continent full of new temples to explore. It seems like you are getting closer to something and you are continuing to find notes left behind by your father, only now it seems he is not alone. Observe the environment, collect items, manipulate devices and solve perplexing puzzles to escape temple labyrinths. Relax to the ambient soundtrack and the easy to navigate the 3D world that you will find in an escape game, with an abundance of secrets to discover. Compatible with new standard screen sizes for iPhone X. Enter an all-new intriguing environment of room escape games & puzzles with Faraway 2: Jungle Escape!